Vietnam Will Host 2019 AHRD International Research Conference: Save the Date! On behalf of the AHRD Board of Directors, we invite you to do a bit of pre-work leading into the 2019 Research Conference in the Americas (February 13-16, 2019 in Louisville, KY). As you hopefully will notice from the details about the Keynote presentation and the Town Hall Forum session, both sessions will focus on the big idea of transdisciplinarity. The AHRD Board has worked hard in the past few years to deeply consider and boldly envision the future of HRD (and related professions/fields adjacent to us), involving a great deal of learning through literature review, data collection from AHRD members and other critical stakeholders, and a large-group intervention in February 2018, with approximately 75 leaders of our AHRD community. One of the implications of this strategy work has been a growing belief that our collective future—the work and processes that we focus on as HRD researchers and professionals—will ask all of us to move towards a transdisciplinary future. The challenge now is to delve deeper into this idea of transdisciplinarity, and to figure out what that really means for the future of AHRD. And this leads me to a challenge for you. AHRD is no more than our community—the people who comprise this organization. AHRD can only move towards a transdisciplinary future if the members of the AHRD choose to do so, too. Board members, conference organizers, session organizers and hosts, Special Interest Group (SIG) leaders, and more can all raise the questions and stimulate thinking about these ideas. But, ultimately, a transdisciplinary future will only emerge if AHRD members lead the way and choose to enact and work towards it. You, along with a majority of our members, will need to believe that it’s strategically important for your own work and the contributions you wish to make to the knowledge base that informs the work in the long run to move outside of our traditional disciplinary silos and engage new, broader, and deeper levels of integration across and beyond traditional professional/disciplinary boundaries. Otherwise, transdisciplinarity will be nothing more than an espoused notion that we kicked about for a while. So, the pre-work I challenge you to do prior to our conference next month is to think deeply about this idea of transdisciplinarity. Maybe do some reading and research about it and how it’s different from interdisciplinary and multidisciplinary. Perhaps talk to others in your network about these ideas. Then, for those of you participating in the conference in February, come ready to share what you’ve learned, to offer suggestions about what others could read to grow their knowledge, and to generatively input your informed perspectives and opinions in the conversations that will surely emerge from our stimulating all-conference sessions. If you are unable to be at the conference in February, please share your ideas about this with any of the AHRD Board members before or after the conference. I believe that the AHRD Board will only be able to outline a compelling path forward for a sustainable future for AHRD if we learn from you, our members, about whether transdisciplinarity is something you value and what it means to you. I look forward to the conversations and learning! The AHRD Conference Team has an exciting, thought-provoking and compelling International Research Conference in the Americas planned for you. Connect with HRD scholars, scholar practitioners, and students! Thought-provoking keynote and pre-conference with Raye M. Rawls: Raye Rawls is a Senior Public Service faculty at the J.W. Fanning Institute for Leadership Development at the University of Georgia. Her practice area is in conflict transformation, alternative dispute resolution and dialogue. Look forward to hearing about how you can move forward into a transdisciplinary HRD future and work with people with different values, beliefs and perspectives. Learn more about Raye Rawls. Three captivating pre-conference workshops: Pre-conference sessions provide a unique opportunity to dive deep into your areas of interest within the world of HRD. Be sure to sign up for the session of your choice when you register! Two of the sessions are being held on Wednesday, February 13, starting at 1:00 pm, and will continue on Thursday, February 14. The third session will be held off-site at Brown-Forman Distillery on Wednesday starting at 12:00 pm. Graduate Student Research Colloquium: This is a tremendous opportunity for doctoral students and advanced Master's students focused on research to engage with well-regarded scholars, peers and academic coaches to support student research and dissertation development. Join this 1 ½ day session to explore: the standards for quality writing and rigorous research in HRD; research perspectives and paradigms used to conduct and report research; and criteria guiding the evaluation of research in HRD. Dr. Maria Cseh (George Washington University) and Dr. Gary McLean (McLean Global Consulting, Inc.) will facilitate the session. During 2018 when AHRD celebrated its 25th anniversary, a think tank was held with key stakeholders to envision what the next 25 years might look like. Several scenarios were examined, and overwhelmingly, the participants supported a future in which AHRD is interdisciplinary or transdisciplinary. What does this mean for AHRD and its mission to be a community of professionals who create and apply research to build human, organizational, and social capacity to learn, change, and thrive? The short answer is we need to broaden our constituency and create partnerships with like-minded professions. The 2019 conference will build on the theme of transdisciplinarity with a preconference, keynote, and Town Forum. The Town Forum is AHRD’s traditional kickoff to the conference where key issues of the day are examined. The purpose of the 2019 Town Forum is to bring professionals from diverse, compatible fields to help us muse on the issues related to becoming more inter- or trans-disciplinary. Click here to learn more. The Associate Proceedings Editor is a critical leadership and volunteer position within the Academy of Human Resource Development. This position requires a three-year commitment that includes advancement to a position of increased responsibility in each successive year. The effective term for this position is March 2019 through March 2022. The first year of the term is spent as the Associate Proceedings Editor for the 2020 Conference Proceedings of the AHRD Conference in the Americas. The second year is spent as Proceedings Editor for the 2021 Conference Proceedings. The third year is spent as the Program Chair for the 2022 Conference. The Associate Proceedings Editor will have the primary responsibility of working with the Proceedings Editor to manage the peer review process and is the primary contact with the authors during the Cutting Edge Award submission and review process. This is a critical position within the conference team and will require up to 15 hours of work per week, especially in the timeframe from July 2019 through January 2020. The position requires strong writing and editing skills, because the finished product has to pass through many steps before it reaches the conference proceedings. The conference team manages the development process of the conference proceedings, including managing manuscripts, scheduling individual conference sessions, coordinating with the conference planning team and ensuring the timely and accurate creation of the International Research Conference Proceedings. The Associate Proceedings Editor plays a significant role in the management of the review process by coordinating with the ten track chair editors. Have published in a proceedings for an AHRD affiliated conference (i.e. the AHRD Conference in the Americas, the UFHRD Conference in Europe, or the AHRD Conference in Asia). Have been a reviewer or Track Chair for an AHRD affiliated conference. Have experience in project management. Hold AHRD membership and maintain membership for the duration of the position. Academic or educational institution affiliation preferred but not required. General computer knowledge: Microsoft Word and Excel. Creative, flexible, a good listener. Ability to multi-task and to work with a close deadline. Become expert at using the computer submission and management system for proceedings. Assist in determining the relevance and appropriateness of submissions for the conference proceedings. Assist the proceedings editor in carrying the overall responsibility for the quality of published content. Work in collaboration with the track chairs and authors. Work with proofreaders in order to ensure a correct text and style. Copy-edit contents of the works done by authors. Work closely with the program chair to ensure an effective design of the proceedings. Provide editorial help for specific sections or articles. Participate in meetings and other events related to the conference. Applications or nominations, in the form of a CV and a cover letter specifying interest and qualifications as related to the role, should be sent to the AHRD Office at office@ahrd.org by February 23, 2019. The AHRD Faculty Mentoring Partners Program (FMPP) was launched in 2015 to address the career/professional development needs of HRD faculty across different career levels (i.e., junior, mid-career, senior). Twenty-three pairs (46 faculty) have participated in the FMPP in the last four years. If you are interested in taking advantage of this exciting professional development opportunity and joining our 2019 cohort, please visit our webpage for further details. This program is a great chance to expand your HRD professional network, learn new skills, and help meet your professional goals. If you are a faculty member interested in this program, then please attend the “Meet and Greet” scheduled for Thursday, February 14, 11:30 am -12:30 pm in the Filly room at the 2019 AHRD Conference in Louisville. The “Meet and Greet” will allow participants to meet each other and consider who they might like to work with over the course of the year. The “Meet and Greet” will also provide an opportunity to network with previous cohorts of the FMPP. To confirm participation in the 2019 cohort of the FMPP, email the participant input form to Rajashi Ghosh at rg429@drexel.edu by February 28, 2019. Welcome to Hanoi in the world’s fifth fastest growing economy, Vietnam, for the 2019 AHRD International Research Conference! Mark your calendars now for November 5-8. Foreign Trade University (FTU), the leading university in Vietnam, is delighted to invite you to attend the 18th Asian 2019 Academy of Human Resource Development International Research Conference (AHRD 2019 Vietnam). The conference is supported by some of Vietnam’s large corporations, including Viettel, FPT, and others. You will have the opportunity to explore Vietnam, with numerous top tourist attractions and rapidly growing businesses. The theme will be Human Resource Development: Innovations and Evolution in the Digital Era. AHRD 2019 Vietnam will open the venue for sharing thinking and practices on HRD foundations to unfold human resources in the promising land of Vietnam in particular and Asia, as well as globally. The conference will be an important platform to discuss and evaluate how global digitalization and so many other factors impact HRD practices for organizational learning, performance, and sustainable development. Given Asia’s increasing importance in the world and Vietnam’s emerging market in Asia, this HRD research conference will navigate HRD research and practices, with innovations, change, and performance laying the groundwork for further discussion of national HRD. Such foundations include training and development, learning and performance, diversity and inclusion, leadership development, digitalization development, and education. These foundations are reflected in the ten conference tracks: 1) national, regional, and international HRD; 2) HRD and sustainable development; 3) leadership development; 4) workplace learning and training and development; 5) career development; 6) organization development and performance; 7) HRD and education; 8) corporate social responsibility and ethics in HRD; 9) information and communication technology and HRD; and 10) emerging issues and innovations in HRD (such as critical HRD, diversity and inclusion, gender, cross-cultural HRD, theory development, and so on). The conference agenda will include pre-conferences, plenary sessions (including keynotes and a Vietnam NHRD panel), concurrent presentations, networking activities, a cultural tour, a gala event, and so on. All have been designed to create conditions for HRD scholarship and practice to take roots in Vietnam and Asia and provide a forum for participants to discuss HRD innovations and evolution in the digital era; at the same time, effectively linking HRD research to practice. To be held in Hanoi, the capital city, also a political and economic hub in Vietnam, which is surrounded by satellite economic centers, the conference provides participants with extra activities, including exchanging information and networking with international experts, local governmental officials, and leaders of international and local corporations. Charming Hanoi has aged well, preserving the Old Quarter, monuments, and colonial architecture, while facilitating modern development. Additionally, the conference serves as an excellent opportunity for all participants to explore a dynamic culture and a rich history of the capital city that will celebrate its 20th anniversary of being recognized as a City for Peace by UNESCO. As a part of the agenda, there will be a visit to Ha Long Bay in the Gulf of Tonkin, also a UNESCO world heritage site. There are over 1,600 islands and islets, many of which are almost uninhabited and unaffected by human presence. Ha Long Bay presents a spectacular landscape that can be comfortably accessed within a few hours from Hanoi. Keep an eye out for the call for papers that will be posted on the AHRD website soon. Questions can be directed to Gary McLean, AHRD liaison, at garynmclean@gmail.com. The Doctoral Symposium will be held on Monday, 24 June 2019 in conjunction with the 20th Anniversary University Forum for Human Resource Development (UFHRD) Conference at Nottingham Business School, Nottingham Trent University, on June 24-26 2019. The goal of the Doctoral Symposium is to provide a supportive atmosphere for doctoral students to showcase and receive feedback on their ongoing work. Doctoral students at different stages in their research will have an opportunity to discuss their problem statements, objectives, methods, and results. The symposium aims to provide participants with useful guidance on various aspects of their research from established researchers and other fellow students working in relevant research areas. It also aims to enable doctoral students to interact with other delegates and potential collaborators in order to stimulate an exchange of ideas, suggestions, and experiences towards the development of their scientific curiosity. This is a unique vantage point to explore beyond established, taken-for-granted assumptions about research and knowledge in a supportive and friendly environment. A number of research and practical workshops will be offered as part of the UFHRD2019 Doctoral Symposium. If you wish to take part in this exciting Doctoral Symposium, please submit your work by Sunday, 28 April 2019. ADHR invites applications for the position of Associate Editor (AE). The successful applicant will have a terminal degree in HRD or a related field and currently work in an HRD role in education, business, government, or community sectors. In addition, applicants must have previously served as an Issue Editor of ADHR; served as a member of the ADHR Editorial Board or another HRD-related journal; and/or have other comparable editorial leadership experience. Preference will be given to applicants who have editorial leadership experience and have served as an Issue Editor of ADHR. Applicants should be an active member of the Academy of Human Resource Development. An ADHR AE will not serve as an Issue editor during his/her tenure, but may contribute an article to an annual volume during his/her tenure. The AE reports to the ADHR Editor-in-Chief. After serving as Associate Editor for three years, Thomas G. Reio, Jr., has begun serving a three-year term as HRDQ Executive Editor as of January 1, 2019. The journal is housed at Florida International University in Miami, Florida. For HRDQ matters, please feel free to contact him at hrdq@fiu.edu. The new editorial team is especially grateful to previous Co-Editors Valerie Anderson, Kim Nimon, and Jon Werner; Associate Editors Trevor Brown, Claire Gubbins, Sewon Kim, Thomas Reio, Maura Sheehan, and Seung Won Yoon; and Managing Editor Heather Short for their thoughtful and strong stewardship of the journal. 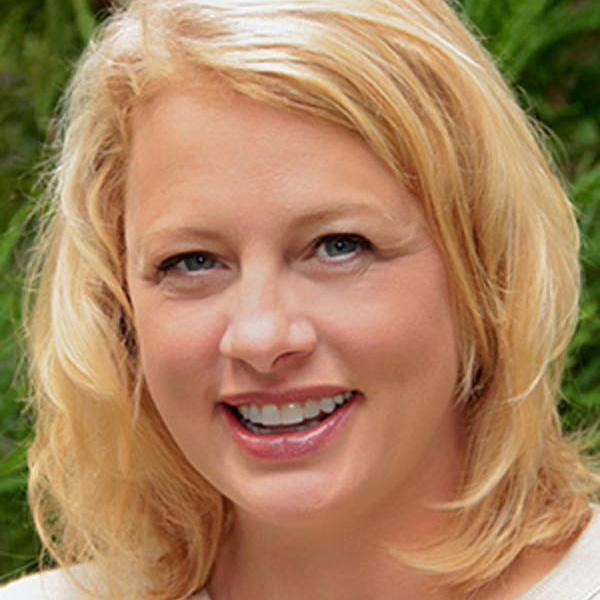 Karen Wollard, Kelly, Wollard & Associates, Inc. The latest issue of HRDQ, Winter 2018 (Volume 29, Issue 4) is available here. Yoo S, Jang S, Byun SW, Park S.
Frie LS, Potting KCJM, Sjoer E, Van der Heijden BIJM, Korzilius HPLM. Kotera Y, Sheffield D, Van Gordon W.
Goldberg CB, Rawski SL, Perry EL. Arnulf JK, Dysvik A, Larsen KR. Media Review by Watson S; Noe, R. (2017). Click here to see all articles on Early View. HRDR will spearhead a Reviewer Training Workshop at the AHRD 2019 Conference in the Americas, which will be held in Louisville, Kentucky, on February 15, from 12:00 pm to 1:15 pm. This workshop is designed to equip reviewers with knowledge and skills essential to conduct high quality review of manuscripts submitted to AHRD sponsored journals and conferences. During this workshop, you will learn from a selected group of HRD journal editors and best journal/conference reviewers how to conduct rigorous reviews and provide constructive feedback. Whether you are an experienced or new reviewer, or are interested in becoming a reviewer for HRD journals and/or conferences, this workshop will benefit you. So come and join us! Because working lunch is provided, your advanced sign-up is required to warrant your participation. A sign-up sheet is available on the conference website. If you have questions regarding this workshop or how to sign up for this event, please contact Yasmeen Makarem, Managing Editor of HRDR, at hrdr@tamu.edu. To learn more about HRDR’s announcements, Table of Contents, and updates, please sign up here for e-alerts from us. 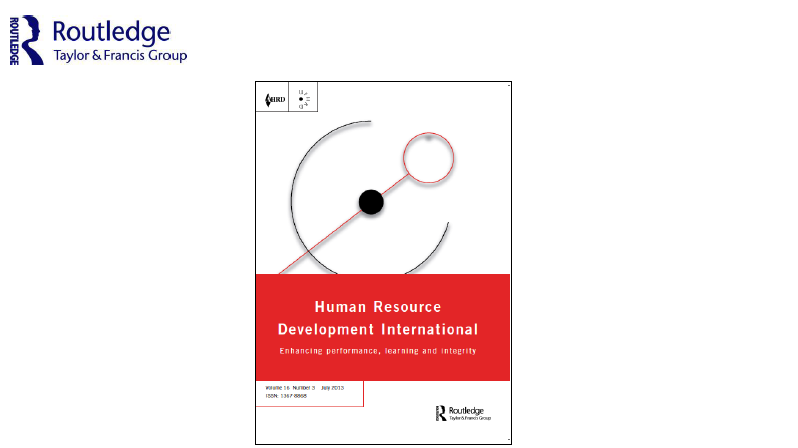 Join our conversation on Facebook @HRDRjournal and Twitter @hrdrjournal. 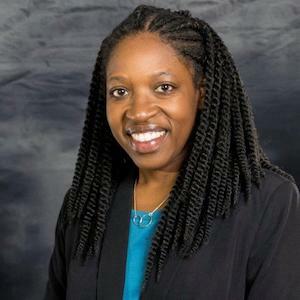 The Chairperson embraces the principles of shared governance, and represents the interests of students, faculty, and staff in the HRDPT Department to the Dean and to the University Administration. The Chairperson leads the department through critical decisions involving faculty appointments, renewals, promotion and tenure, sabbaticals, awards for meritorious activities, and appointment and evaluation of program directors. The Chairperson is authorized to speak officially for, and on behalf of, the department in matters concerning personnel decisions, budget requests, approval of grants and contract applications, and other issues concerning resources. The Chairperson is responsible for ensuring that communication within and outside of the Department is effective and transparent. The Department of Higher Education and Learning Technology on the Texas A&M University-Commerce campus is seeking faculty who will serve at the tenure-track or tenured rank of Assistant/Associate Professor. The chosen faculty member will be assigned primarily to the Department’s innovative competency-based Organizational Leadership (ORGL) program. This pioneering program is the state’s first public delivery of a competency-based degree option that is consistent with the Texas Affordable Baccalaureate (TAB) initiative. The College of Technology is among the fastest growing colleges at the University of Houston, a Carnegie-designated Tier One public research university. We are looking for highly dedicated scholars, researchers, and teachers to help us prepare the future's technologist, scientists, and business leaders. In just under a month, the 2019 AHRD Conference in the Americas will commence in Louisville, KY. Contained in this month’s Digest is a preview of the opportunities that attendees will have to network, learn, and develop as HRD scholars and practitioners through the many offerings on this year’s conference schedule. It is my sincere hope that everyone reading this Final Thought will take advantage of the captivating pre-conference workshops, the thought-provoking keynote presentation, the offsite networking event, the Town Hall Forum, the meet and greet for the faculty mentoring program, the HRDR reviewer training workshop, and the many research posters and symposiums that will showcase current thinking in HRD research. I very much look forward to this action-packed week in Louisville. I hope to see you there!